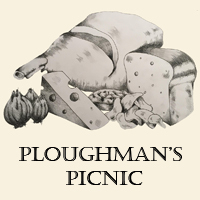 Ploughman’s Picnic boxes and platters are made using high-quality local ingredients and are a delicious alternative to the usual plate of sandwiches or lukewarm sausage rolls. Ploughman’s Picnic catering sources high-quality local ingredients including sliced meats, cheeses, fresh breads, fruit and homemade relishes made by Dodo’s Delights. We create picnic boxes or share platters for corporate clients, weddings and dinner parties. Our standard menu offers a variety of options for clients however the design of our menu enables us to create catering packages for our clients that suit their needs. Select individual picnic boxes or platters to share for your next meeting, dinner or getaway.